• Self-Development Workshops: Through engaging cooperative games and experiential learning activities children will learn how to build self-esteem, and identify feelings. All workshops will encourage cooperation, empathy for others, and understanding emotions. • “Superhero Character” Scavenger Hunt and Team Challenges: Based on the Character First elementary curriculum, children will explore some of the character traits exhibited by superheroes, such as compassion, flexibility, responsibility, patience, and self-control. Children will work in small groups for an interactive scavenger hunt as well as team challenges in which they must demonstrate these character traits in order to complete their assigned tasks successfully. • Returning this year, My Reptile Guys will entertain preschool and elementary age children with their creepy and crawly critters. Children will be able to learn about and pet twelve reptiles, including a Burmese python, red foot tortoise, blue tongue skink, bearded dragon, and a jungle carpet python.. In addition to an informative and entertaining show, all children will have a chance to touch and see the reptiles up close. • Wendy Bennett returns this year to entertain preschoolers and elementary kids with her delightful musical storytelling in her programs Storybook Alive! and Cinderella. 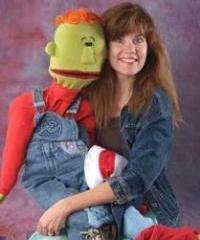 Wendy’s amazing voice and her puppets bring storybook characters to life. Children are involved with plenty of audience participation. Wendy encourages children to experience books in a fun interactive way! • We are glad to welcome back Bruce Bernstein, who will engage preschool and elementary age children with his love of mu-sic as he introduces the musical families of percussion, strings, woodwinds, and brass. He will show how all are needed for an orchestra and how each instrument depends on the others to create a song. Differences sure do make a difference! • Former teacher and current juggler Ron Anglin entertains and educates children with his comic character education program, “Quite A Character.” Ron uses physical and vocal acrobatics, a Japanese kendama, soap bubbles, three props from China, music from Mali, a unicycle and plenty of volunteer club-passers to teach the Golden Rule and more. • Outdoor Festival As in the past years, O’Brien Productions will be providing another special event for our children. Children of all ages will enjoy outdoor fun on a variety of large inflatables, including a slide and bouncy house. All younger children will also be able to ride the train all around the conference center grounds and enjoy some energy-burning fun! • All teens will participate in a “Super Leader League” Leadership Workshop series designed to help them develop their “Super” leadership skills! • “Imagine Your Life” Vision Board Workshop: Presented by adoptive mom, Lissa Bowen, middle-school teens will learn visualization and relaxation strategies & how to utilize empowering beliefs to create a vision that can be life changing. A vision board is a tool used to help clarify and focus on goals and will serve as a visual reminder that your future is in your hands! Younger teens will leave the session with their own vision boards. • Claire Lisco, M.A., Teen Empowerment Advocate with the Partnership Against Domestic Violence, will present a Teen Dating Violence Prevention Program. Teen Dating Violence (TDV) is a growing epidemic within the teen community; 1 in 3 teens report verbal, physical, emotional, or sexual abuse in their dating relationships. Claire’s workshop will address the definition of Teen Dating Violence, how it looks, warning signs, barriers to leaving, and safe bystander intervention. 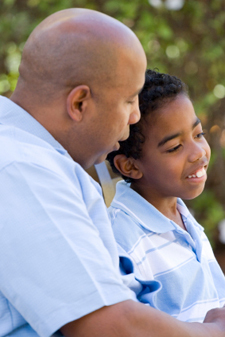 Teens will gain valuable information on relationship safety and setting healthy boundaries with others.